Everything old is new again, especially when it comes to healthy nutrition. Ancient civilizations often had to rely on a handful of foods that could be harvested locally. There were no provisions for buying large stores of food and transporting them by foot or pack animal over long distances. Perhaps for these reasons, many ancient grains are chock full of nutrients. When you only have four or five foods to sustain you, they better give you the maximum amount of nutrients. Such is the case with chia seeds. These versatile little seeds were a staple of the Aztec and Mayan diets. The Aztecs, if you remember your high school history lessons, were very advanced for a 14th century people. They excelled in the arts and had highly developed skills in astronomy and architecture—and they were gifted engineers. It’s possible that this prolific and enlightened output was due, in part, to chia seeds. Chia seeds contain, pound for pound, about the most nutrients you could hope to get in a food with the least amount of calories. Of course, the Aztecs knew the value of chia seeds. They regarded them highly and wrote of their ability to increase stamina and energy. The Aztecs and Mayans (who, incidentally, excelled in many of the same areas as the Aztecs) ground chia seed into a flour. This flour was used to make all sorts of foods. The chia seeds were also pressed to obtain the oil contained inside the seed. Both cultures mixed chia seeds with water to make a beverage. Unfortunately, as so often seems to happen throughout history, another culture placed restrictions on growing chia seeds. When the Spanish arrived and “conquered” Latin America, the Aztecs and Mayans were forced to stop farming chia seeds. Now, chia seeds are being resurrected as a food that could help modern day America recover from its many ills. What exactly do chia seeds contain to make them such a superfood? They have lots of fiber for starters. Fiber promotes a healthy digestive system. Then too, they contain omega fatty acids. Chia seeds are high in omega-3s and omega-6s. These two foods work much better in the human body if their ratios are balanced. A typical Western diet is low in both these fatty acids, but particularly omega-3s. By boosting your intake of omega-3s and 6s, you can protect your heart and your brain. Omega fatty acids are also great for stabilizing mood. Chia seeds are also rich in calcium. For those that are steering clear of dairy, chia seeds could be an excellent way to bump up your calcium intake. 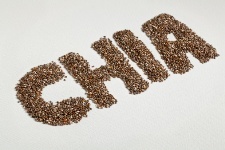 Other nutrients that chia could add to your diet include protein and antioxidants. Chia seeds are a good source of iron and an excellent source of magnesium. Without adequate magnesium, it will be much more difficult to keep your cardiovascular system healthy. Adding a spoonful of chia seeds to your morning bowl of cereal or smoothie could really help to keep key nutrients at or above required levels. Many mainstream grocery stores have started carrying chia seeds so look for them the next time you’re picking up some groceries. Mohd, A.N., et al., “The promising future of chia, Salvia hispanica L,” J Biomed Biotechnol. 2012; 2012: 171956. Globe and Mail web site, June 27, 2012; www.theglobeandmail.com, last accessed June 19, 2013.